I take a deep breath then forcibly stop my foot from tapping on the waiting room floor. I am holding a prescribed bottled of Valium. My bladder was going to burst. Feeling my dry mouth and very thirsty, I realize more water isn’t an option right now. The nurse had given strict instructions not to use the restroom before this procedure. My husband and I are called back to the Operating Room. This was it. If this didn’t work, there were no more opportunities. I had to make peace with whatever fate was intended for me. Given that this was our third round of IVF, and second frozen transfer, I knew what to expect. Except this time was a little different. We actually had a shot at success. Three months prior, my sister Erin enthusiastically flew down to stay with us for three weeks. Two flight delays and nine hours later, she finally arrived at 1:00 a.m. with her two healthy, very overly tired toddlers in tow. She gave up her vacation time at work, surrendered her stomach to daily injections and worked through those awful side effects with such grace. Looking back, we had the ability to choose an anonymous donor through our fertility clinic. At this point in the game, for many couples, cost is definitely a factor. But in many ways it is not. You will do whatever it takes to have a healthy baby in your arms. I know friends who have taken out second mortgages, lived with in-laws a while to save money and strapped themselves to $500 per month loan payments to do just that. Is it worth it? Well it depends on whom you ask. There was a time when my husband and I were paying back a loan on a FAILED treatment. Imagine the disdain when that bill arrives! We were at a crossroad. Do we select an anonymous donor through an agency or opt for a known donor? First, there are agency fees (administrative costs) which generally run anywhere from $1000 to $6000. And this is just the beginning. We would also have to provide compensation to the donor (typically $3,000 to $5,000). Sometimes, the recipient couple will incur the cost of the donor’s short-term medical insurance, travel accommodations, food stipends, medication, attorney fees and psychologically counseling. In addition, the recipient couple will foot the bill for their own legal representation, therapy and medication to sync menstrual cycles. In addition, the cycle itself can cost between $12,000 and $15,000 for a single round. There are egg-sharing options, which can reduce the cost for the couple as well as refund programs, if you qualify. Egg sharing varies from clinic to clinic and pricing will depend on your specific location. Use A Known Donor or Anonymous Donor? If you have a sister (or even close friend) who meets your clinic’s age requirements (usually 30 or younger) and she is willing to dedicate her time and eggs, then this may be the right option for you. Donors both Known and Anonymous don’t always have to have proven fertility. However, they must pass clinic health requirements. Would you prefer to know your child’s genetic medical history (psychological and physical)? Donors typically must meet a weight requirement (this can vary by clinic). If you directly contact and choose an agency that will work with your fertility doctor, then you may have the option to select your donor based on photos, characteristics, history. However, some clinics provide their own egg donation services, which allow the donor to ultimately remain anonymous. Are you and your partner are comfortable having a baby that will not have the same genetic makeup? The process can take longer than expected no matter which route you choose due to blood test results, cycles, travel, and clinic scheduling. And so it begins. We were finally ready for that first appointment! In February 2012, my sister Erin and I met with my Reproductive Endocrinologist (RE). In the beginning there is A LOT of blood work. Labs may include thyroid, baseline FSH (follicle stimulating hormone), a complete blood count as well as blood typing and estrogen level. Some labs must be done at a specific time in one’s monthly cycle, so it is imperative to schedule accordingly. Closer to the date of egg retrieval, donors are required to have specific STD tests. There is also extensive paperwork that will ask EVERY detail of the donor’s sexual and recreational history. Everything is taken into account! The RE may create a spreadsheet outlining next steps and detailing when the recipient and donor would return for another appointment. If your donor is out of state, she would have to continue some of her ultrasounds, labs and appointments in her hometown. Occasionally, her medical insurance may cover some of these costs, but be prepared to pay for out of pocket costs if you are using a known donor. At this point, some people may choose to already have a lawyer and legal documents in place; we chose to wait until further into treatment because we knew my sister’s dedication and motivation. It wasn’t until 7 months later we were ready to actually begin a cycle. Due to high thyroid stimulating hormone levels, Erin had to take medication ensuring a normal level. In the meantime, she had also been working on losing baby weight because of strict parameters the doctor sets for egg donors. Overall health in the donor is paramount. One thing I have come to learn in my infertility struggle is that nothing happens fast. EVER. There is usually a setback or change of plan. After coordinating treatments and trying to get pregnant for six long years, a few months delay was nothing to us. We all began our separate counseling sessions (as couples) to discuss our unique situation. The therapist asks many questions to potential donors including their intentions and reasons for doing so. Many people think they want to donate their eggs (especially to a known donor) without really thinking it through or understanding that they will be undergoing a full IVF cycle minus transfer. The donor should ask, “Am I ok with a biological child roaming the earth, to which I have no ties to?” In my sister’s case, she simply viewed these children as nieces and nephews. Period. She saw it as lending some needed cells to me, so we could make a baby. Often the therapist will recommend some reading homework that is unique to your case. Once it is decided that everyone is on the same page, a lengthy, detailed letter of recommendation from both sides will be sent to the physician. You may be asking, why would one go through all this when eventually you may conceive with your own eggs? Or “just” adopt? I’ve heard it all. Well, in the IVF world, it is known that donor egg cycles have a much higher success rate than using one’s own eggs. Donor Eggs are from women who are generally younger than 30 and in some case have proven fertility. It does vary by clinic, but typically a live pregnancy results in 30-50% of cases. Those figures are staggering when in any given month the average 30 year old only has about 20% chance of conceiving. Another factor to consider is your current situation and diagnosis. According to RESOLVE, the best candidates are women over 40 with multiple failed IVF cycles or those with Premature Ovarian Failure. Before finding a fertility specialist, I strongly suggest researching clinics on your own and examine their outcomes. Sometimes a large clinic boosts high success rates, but they may perform hundreds of procedures per week; whereas, a small clinic might give you more individualized attention, but have a lower success rate because they naturally cannot perform as many procedures. Get to know the lab director and embryologist by reading about their credentials. A good place to start is http://www.sart.org/find_frm.html. Often, treatments are not covered by insurance anyway, so you might want to choose a clinic based on their success rates, experience and specialty. We corresponded with the Donor Egg Coordinator for weeks via phone and email. She acts as a sort of liaison between the doctor and nurse, ensuring we were completing all necessary steps. Everything was lined up. Our cycles were in sync using birth control pills. It was time to order both of our medications on a conference call so I could cover the cost. 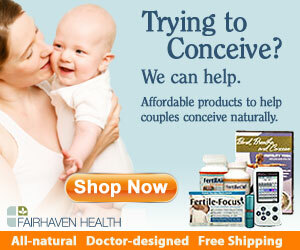 This is not necessary, but many times fertility drug companies will offer discounts with large out of pocket orders. Her medication cost totaled $2400 to start. Made my measly lupron kit and estrogen seem like peanuts at $360. When I say “to start,” I mean you need enough of the meds to get through the first 5 days. The donor will have a blood draw around day 3 and the nurse will advise any medication adjustments. Two days after flying in, we would go together for her first cycle appointment. Everything was moving along perfectly. Retrieval day came and Erin was able to give us 16 beautiful little eggs. The next day, we anxiously awaited that phone call to see how many fertilized. I will never forget that moment. It was a warm spring day, not a cloud in the sky and my nephews circling around me laughing. I listen intently to the nurse’s voice. There were 10 gorgeous little embryos developing and growing. Elated doesn’t begin to describe my feelings. One week later, I went in for my transfer. Certain that it would work this time; we opted to put back two. Unfortunately, it didn’t work. They didn’t “take” as people often say. My heart was filled with grief and frustration. But, the doctor saw this as our answer. She knew the donor had two healthy children and my husband had no genetic issues from prior testing; at least one of those embryos should have implanted. Because of this process, she knew what needed to be done. So, more blood tests were in order, which confirmed her suspicions. By adding a blood thinner to the regimen, the RE was hopeful that this implantation problem would be resolved. Fast forward to July 8, 2013. I’m holding that bottle of Valium and trying to relax, but just can’t because I know that we will not keep doing this. It is emotionally and physically draining on yourself and your marriage, not to mention costly. I went into that cold, blue operating room with a glimmer of hope. I held my husband’s hand afterward thinking nothing but positive thoughts. The following week, I kept myself busy. And then it happened… seven days after the frozen transfer; I had an overwhelming feeling that something was different. And I was right. This time, the day 10 blood test showed an HCG of 353! Today I have the greatest gift from God (and my sister). He stands 28 inches tall, brown eyes and bursting with personality. So, in answer to the question, “Is it worth it?” I’ll let you be the judge. And my egg donor? She loves being his aunt! Wow there is so much that goes into this….time, money and patience! If I had to use an egg donor I would definitely use a family member. I would not feel comfortable using a stranger.